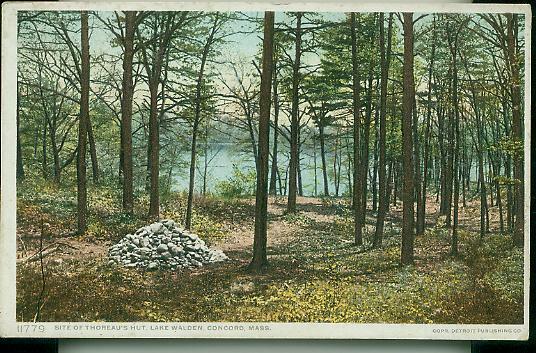 Join us for an interpretive walk at Walden Pond. Thoreau was a keen observer and meticulous recorder of nature. We will learn to interpret the forested landscape as Thoreau would have done. We will discuss forest succession and share some descriptive passages from Thoreau’s written works. Meet in the front of the Thoreau House Replica near the Main Parking Lot. Please wear proper walking shoes and bring your water. Children must be accompanied by and adult. This is a free program but there is a parking fee of $8 per vehicle with Massachusetts plates, $10 with non-Massachusetts plates. Only working guide dogs are allowed in the Park. For more information, call (978) 369-3254. This entry was posted on September 24, 2015 at 5:40 pm and is filed under 10_15 Public Programs, Interpretive Programs. You can follow any responses to this entry through the RSS 2.0 feed. Both comments and pings are currently closed.